The winter cold can be brutal, especially on our hands. That's why having the best winter gloves is one of the best ways to stay warm. If you're like me, then your hands get cold easily. Not only is it annoying and uncomfortable, but when it gets really cold, it can lead to your hands getting torn up with dry, cracked skin. If you're working or playing out in the cold, forget about it. Your hands are going to get tortured. It makes for a much more miserable day and less productivity. I've tried wearing cheaply made gloves over the years to fight the cold. Either the gloves were too bulky that I couldn't do anything with them on, or they were too light that they didn't help keep my hands warm. It turns out I was getting the wrong gloves. 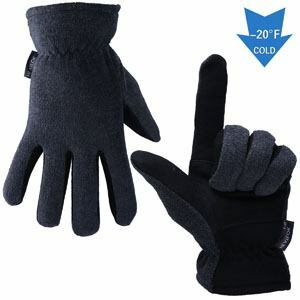 There are actually some really well designed, well made gloves out there that not only keep you warm, but let you do anything that you need to. I did a ton of research and put together the top performing gloves to keep you warm all winter long. I already made my choice and am enjoying a warm winter this season. In this article, we will look at the top 10 best gloves for winter. When it comes to gloves, there are four major types to consider when getting gloves for your needs. Obviously, work gloves are the ones you want if you will be doing a lot of stuff outdoors, which includes hunting or hiking. Cold hands can get damaged quicker because the skin isn't performing to its top abilities in that kind of environment. So not only do you need something to keep your wands warm, but you also need something to protect your hands from getting poked and scraped. Windproof and waterproof are two key features to look for here. For winter sports, it's all about keeping the hands warm and dry. These will be pretty bulky and should be windproof as well. Depending on your sport, you'll want to look for different levels of dexterity. Driving gloves are a little different. You need your hands to stay warm, but you also need very fine dexterity to not only steer, but also work your radio and phone. These gloves can be a bit thinner and may not always be windproof. 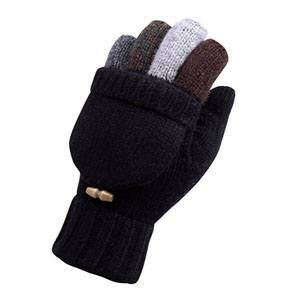 Casual gloves are the type that you throw in your coat pocket so that you can pull them out for a variety of activities. They are great for almost any light load activity. When you need a tough work glove that will keep your hands warm all day, the Carhartt WP is the right choice. These gloves are 100% Polyester inside and out, with 100% Polyurethane reinforcements in the palm area. There is a clasp band around the wrists so that you can cinch them up for a better fit. The gloves are great for low to medium level work. These gloves are definitely a crowd favorite. There are two color options of all black or black with brown. While the gloves are waterproof, they are not windproof. These are by far the best winter work gloves for light and medium work. If you do a lot of heavy work with your gloves, you'll want to consider hardier materials that can hold up. Let's be honest too, when it's cold out, our noses often run. These gloves have a dedicated nose wipe strip area so that you can keep the snot from running down your nose without tearing up your face. That way you don't have to take the gloves off every time you need to cure a dripping nose. And because you can hand wash these gloves, it won't get too nasty over time. 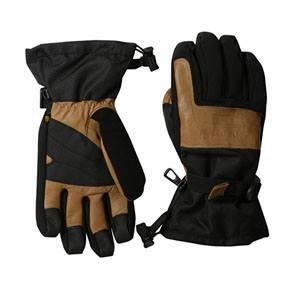 If you need your gloves to not only be waterproof, but also windproof, then the Carhartt WB is your solution. These gloves are very similar to the Carhartt WP we just discussed. They are great for medium level work, like typical chores on a farm of baling hay, cutting wire, moving stuff, etc. Besides also being windproof, one additional feature is a velcro adjustment tab on the wrist. This can help you close off any openings between your gloves and your coat to keep the wind out. There is also a moisture wicking internal liner to keep your hands dry when they sweat. These gloves also have the nose wipe feature. If you want to go even farther with heavier duty work, then go for the Carhartt Cold Snaps. These gloves also have 100% Polyester and Polyurethane construction. They are both windproof and waterproof as well. 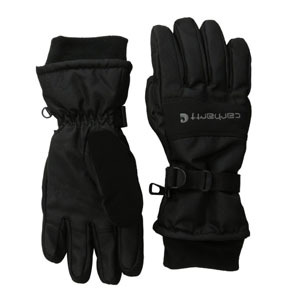 Whether you are in the warehouse moving boxes or pallets, or out in the woods using the chainsaw and moving branches, these gloves deliver. You can get them in all black or black with brown trim. There is an adjustment strap near the wrist so that you can make them fit just right. For snow sports, a great choice is the Gordini Gauntlet. The waterproof shell is made out of 100% Polyester. The palms are reinforced with leather for extra durability. You also get a wind and waterproof Gore-Tex insert for even more protection. The lining is very comfortable and will keep your hands warm in most situations, even in the far north of the USA. 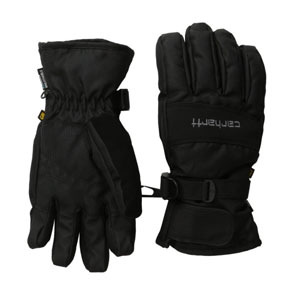 Perfect for skiiing and snowboarding, you have enough dexterity to enjoy your activity while keeping your hands plenty warm. They are also perfect for shoveling snow off the driveway, even in Minnesota. They are the best winter gloves for extreme cold. 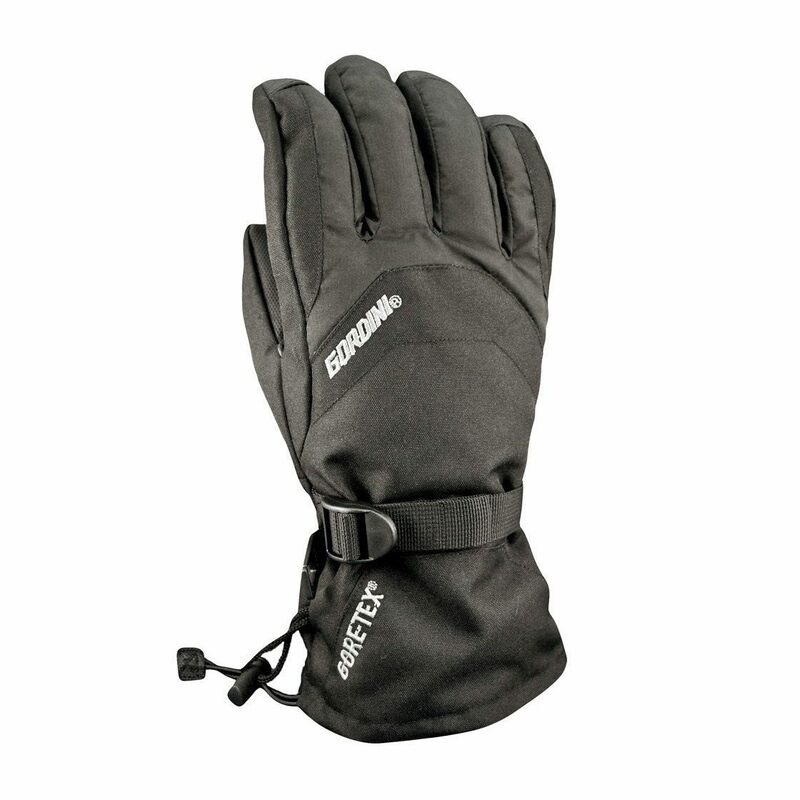 Another great option for the snow is the Mountain Made Waterproof gloves. They have awesome materials on the fingertips and palm area for excellent grip. The crossover strap and cuff pull help to get these fitting just right. There is a built in top zipper pocket where you can put in a hand warmer, or store your ID if you want to. They are definitely warm and cozy in the worst conditions and work just as well on the slopes as they do in the woods, making them the best waterproof winter gloves. For driving, it's important to have dexterity as well as the ability to work the controls in your car or on your phone. Leather is usually the right choice here and the Luxury Italian Nappa Leather Driving gloves don't disappoint. 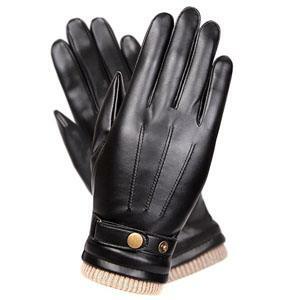 These gloves have awesome dexterity with their outer Italian Nappa leather and the inner lining. You have some options here on lining choice between cashmere, fleece, or wool. That way you decide what is most comfortable for you. The gloves come in black or brown, and look really awesome in terms of style. When you are on a tighter budget, but still want performance, the Warmen PU Faux Leather Driving gloves are the way to go. The PU Faux leather gives you all of the benefits of great dexterity, and the fleece lining keeps your hands warm. The materials allow you to use your phone's touchscreen while wearing the gloves. There is a strap and button adjustment near the wrist area for an even snugger fit. These gloves look sharp and come in black. A cashmere and wool mix make up the cuff area so that you're wrists don't come in contact with the cold outer leather layer. 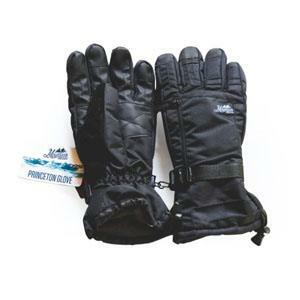 For a more casual glove that must perform in some of the coldest of conditions, the OZERO Cold Proof Thermal wins out. 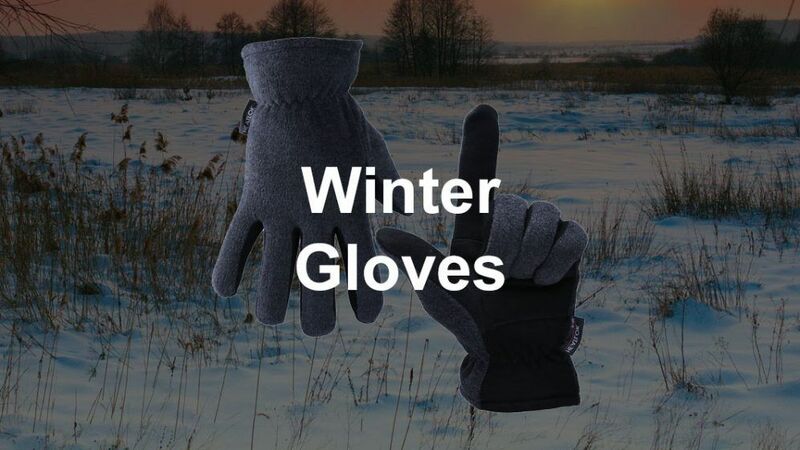 These gloves combine the comfort of fleece with the performance of deerskin leather to give you the ultimate option in keeping your hands warm. The gloves are extremely light, but can perform in conditions down to -20 degrees F.
How do they do it? They use a technology called Heatlok that traps air between two layers, creating the highest performing insulator that you will ever find. The gloves are so light that you can store them easily in your coat pocket so that you have them whenever you need them. These gloves are the best winter running and cycling gloves. When your task just can't be done with any kind of material on your fingers, it's time to go fingerless. With the Warmen Wool Knitted Convertible Fingerless gloves, you have the option to do this well. When you need to use your fingers you can, and then cover them up with a flip over when you want to warm them up. These gloves are 80% Australian Wool and 20% Nylon, making them warm and comfortable. The only catch is they are one size fits all, so depending on your hand size, you may or may not find that these fit well. While most people will like these, I personally have not enjoyed fingerless gloves since they seem to be too tight on my bigger fingers. 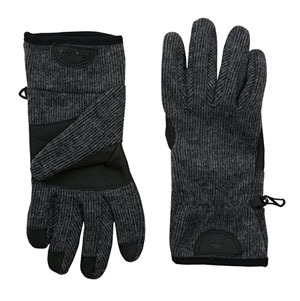 For a more all around option, consider the Timberland Ribbed-Knit Wool-Blend gloves. They have a nice mix of Polyester, Wool, and Nylon. The fingers are touchscreen compatible and the textured palm gives them a great grip. The gloves fit nice, feel great, and keep your hands warm. They also look pretty stylish and come in Charcoal or Black. 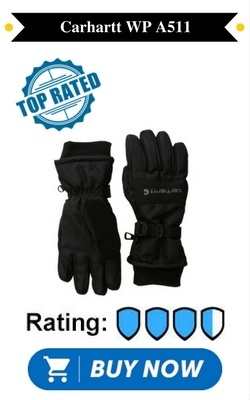 These gloves run a bit higher on price than the other two options for this type of glove category. They are perfect to throw in your jacket or your car. In summary, we looked at the different types of gloves that you should consider getting to keep your hands warm in the bitter cold of winter. Depending on what you need the gloves for, it will determine the type that you get. For example, if you're going to be working on the farm, then get those type of gloves. If you want to be out skiing, then get the snow sport gloves. For most of us, it's great to have a casual pair of gloves handy in a coat pocket. And for those that do a lot of driving, consider getting dedicated driving gloves. In this article, I went out and found the top 10 options for men covering each of these categories. Not only are they the best performers, but they also are fairly cheap. That way, it makes sense to get a few different pairs for different uses. When you get your hands all taken care of, don't forget to protect your lips from the cold.